Gligora Dairy was for the fourth time named a winner of the trophy at the most prestigious cheese contest in the world - World Cheese Awards, held 25-29 November, 2015 in Birmingham, England. In total the contest saw 2727 different cheese types from 25 countries from different continents. Those were evaluated by an expert team of even 250 judges coming from 22 countries. A number of awards in different categories were given, and after choosing the best 62 winners of Super Gold medal, the best 16 cheeses in the entire contest were named by Super Jury panel which included best judges in the contest. This time among the best 16 cheeses in the entire contest Gligora's Pag olive residue cheese was also chosen winning the trophy Best Central and Eastern European cheese, while the champion was Swiss cheese Le Gruyere. This is the fourth cheese from Gligora Dairy which was highly acknowledged in the contest while last year's Dinara cheese, the mixed cheese from cow and goat milk, almost was named a champion and finally won the second prize. The Gligora Dairy is proud of Pag cheese trophy, especially since this type included a refined local cherry residue cheese from the Zadar area. 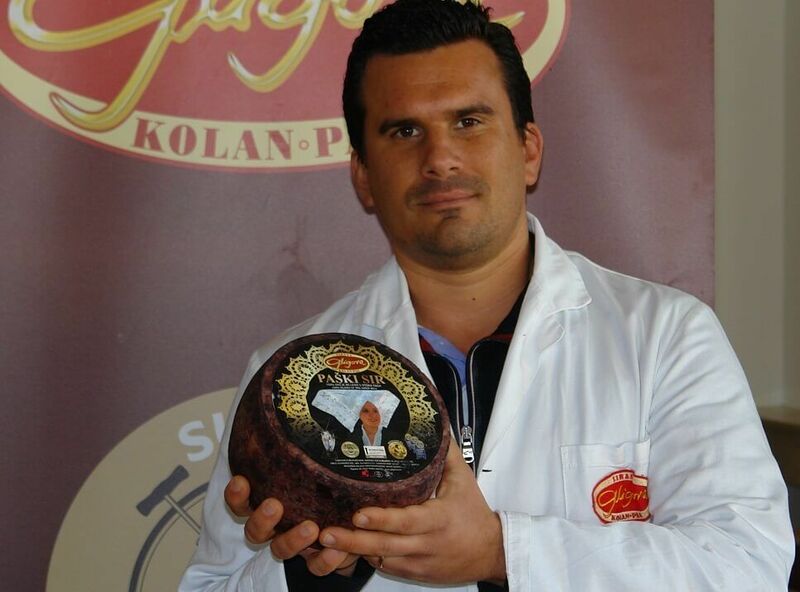 Šime Gligora, the executive director, said: “This is not a coincidence as this is the third time our refined Pag cheese got a highly acclaimed international award. In 2014 the Pag olive residue cheese won the first prize in the USA in the category of sheep cheese and the Pag must cheese won the first prize in the category of refined cheese in Nantwich, England. This year we also won the best prize "Targa di eccellenza" in Milano, Italy for our two goat refined cheeses. This is the result of our commitment to the quality and the experience of our cheese producers”. In addition, we should add the refinement process includes dipping cheese in wine must to bring back the lost moist from cheese, to prolong the maturation process and to improve the structure and aroma. Such almost lost past methods were used anew in our factory and we proved how combination of the old methods and innovation such as the use of local olive or cherry residue can bring us top results.